Blizzard Entertainment announced the StarCraft II API is available now for AI Research communities. The API includes support for Linux systems. On behalf of Blizzard Entertainment, the StarCraft II development team is very pleased to announce the release of the StarCraft II API! We recognize the efforts made by researchers over the years to advance AI using the original StarCraft. With the StarCraft II API, we’re providing powerful tools for researchers, gamers, and hobbyists to utilize the game as a platform to further advance the state of AI research. This API also exposes a sandbox for the community to experiment with, using both learning based AI and scripted AI to build new tools that can benefit the StarCraft II and AI communities. We’ve also done a lot of work to allow this API to run at scale in cloud infrastructure. Today, we are releasing the result of this work in the form of a fully functioning Linux package designed to run in the cloud for research purposes. This is a standalone Linux build optimized to only work with the API. We’ve learned a lot during our collaboration with DeepMind on this project, and we’re very excited to get these tools into your hands to see what amazing things we can create together. * In addition to the initial release, replay packs will continue being released on an ongoing basis. Please note that there may be some lag time before new replay packs are available after a new StarCraft II release, as patches may change the format of replays. While we have included some sample code and simple bots, it’s important to note that the release of these tools lays the foundation for AI research in StarCraft II to begin. Ultimately, it will be your creativity, ingenuity, and hard work that will dictate where this all leads, and we’re excited to see the direction the AI community will take this in. For more information, as well as DeepMind’s white paper, head to their blog. We’d love to hear your feedback on this project, and invite you to join the discussion in our StarCraft II API forum. Blizzard Entertainment deployed Patch 3.16.1 (build 55958), a minor patch for StarCraft II: Legacy of the Void which addresses three bug fixes. Fixed a display issue with experience in War Chest node dialogues. The Leviathan Brood Ultralisk, Baneling and Queen now have more pronounced team color, and glow their team color properly. Zealot using the Forged skin can now be properly selected while warping in. Blizzard Entertainment will sell new skins for each StarCraft II race each month (starting today at 6pm EST/3pm PST) until all phases are unlocked. 25% of the sales will go to supporting eSport prize pools. War Chest: BlizzCon 2017 introduces more than 70 new items (spread across three phases), including sprays, emoticons, exclusive portraits, and StarCraft II’s first army-wide skins, all for a steeply discounted price. Each War Chest begins with a single unit skin and an exclusive portrait. Additional skins are divided into three phases, and can be unlocked by playing Multiplayer or Co-op matches during or after the corresponding phase, until by the end of the challenge you have a full set. Your initial purchase also grants awesome rewards in other Blizzard titles. Check out the full details here! 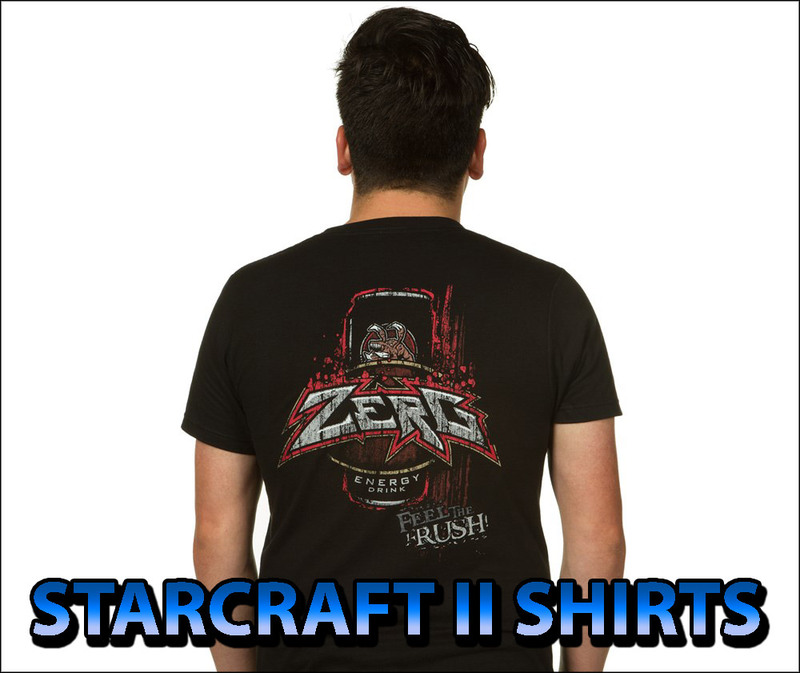 25% of all War Chest purchases go directly to StarCraft II esports. The first $200K will be added to the $500K BlizzCon 2017 prize pool, with any surplus contributing to StarCraft II event production. Unlocked once, upon first War Chest purchase only: Diablo III Tal’darim Pet (War Chest Exclusive), a Heroes of the Storm Loot Box, and a Hearthstone card pack. The purchase period ends on October 4th, after which you will have one month of Bonus XP to complete your War Chest and finish unlocking all rewards. Progress is applied retroactively to newly purchased War Chests. If you have unlocked 5 rewards from the Zerg War Chest, and you purchase a Protoss War Chest, you will immediately unlock 5 Protoss rewards. Progress is shared across War Chests, so if you purchase more than one, you can work on them all simultaneously. If you don’t complete your War Chest before the November 4th deadline, don’t worry: all War Chest skins will become available for purchase at full price on a later date. Years after the events of Legacy of the Void and Nova Covert Ops, it seemed that peace had come to the Koprulu sector at last . . . But even when leaders understand each other, their warriors on the ground do not. Hidden in the shadows, their battles rage on. Blizzard Entertainment announced the StarCraft: Remastered will be released on August 14 adding 4K graphics, and an enhanced UI across the board for only $14.99. As stated weeks ago, a player with the old StarCraft and a player with the Remastered version can play the same match seemlessly. All that changes on both sides is the graphics quality. If you need another reason to buy this masterpiece, Blizzard has a bonus for you: pre-purchase to unlock three exclusive building skins, the free Stukov co-op commander, and three iconic portraits for StarCraft II. The award-winning RTS classic and Brood War® expansion have been modernized with 4K Ultra High Definition graphics, enhanced audio, new matchmaking and leaderboard systems, and more. Pre-purchase and receive three exclusive building skins for StarCraft: Remastered, as well as a co-op commander and three iconic portraits for StarCraft II. IRVINE, Calif. — Experience the original clash between the terrans, protoss, and zerg like never before in StarCraft®: Remastered, a lovingly crafted modernization of the award-winning sci-fi real-time strategy game from Blizzard Entertainment , which launches worldwide on August 14 . Grizzled StarCraft veterans and new commanders alike can now pre-purchase the game through the online Blizzard Shop and receive some exclusive in-game rewards. All players who pre-purchase before August 14 will receive three unique building skins for use in StarCraft: Remastered—the Char Hive, the Korhal Command Center, and the Aiur Nexus. Additionally, those who purchase StarCraft: Remastered will receive digital bonuses in StarCraft II, including the Alexei Stukov co-op commander and three unique portraits that celebrate StarCraft: Remastered. Blizzard Entertainment provided a preview of upcoming skins coming in Patch 3.14. You can buy these individually for $2.49 or as a discounted offer in the Premiere Skin Bundle. Eventually, he decided to reach out to Blizzard Entertainment and shipped the CD back to Blizzard. A few weeks later, Blizzard sent him a free copy of Overwatch: Origins, a $250 voucher to spend in the Blizzard Store, and an all-expense-paid accommodations to attend BlizzCon for free. Comment from discussion Found a Starcraft Gold Master from 1998.